....to be glad that so many of the reality shows I watch are back for a new season. Vanderpump Rules. Sister Wives. I Am Jazz. My Big Fat Fabulous Wife. ....to have not watched the Golden Globes, but am so glad the women stood up for what is right. Time's Up! Heck yes it is. .....to be excited about the Roseanne reboot. I loved the original series. ....to be glad that most people understood my post about why To Siri With Love should not be banned yesterday. ....to think my daughter is being difficult when she says she will no longer wear clothes that she doesn't approve of first. Apparently I pick out "odd" ones. For example, I picked out an emoji shirt because hello, she uses emojis often. But it turns out, she doesn't like them on clothes anymore. Only on her phone. I'm like ??? Tweens make my head hurt. ....to eat so many rolls when I go to Texas Roadhouse. We tell the waiter to keep them coming. The cinnamon butter is fabulous. Oh my gosh! I'm cracking up about how you said that tweens make your head hurt! So not looking forward to that stage of motherhood. Your daughter sounds a lot like my little sister. Sigh. She'll grow passed that soon. Tweens make your head hurt lol that made me laugh, I also never watched the Golden globes, I'm kinds trying to not get involved with media stuff this year. I'm excited about the reality shows too. Sister Wives is one. Others are America's Next Top Model (VH1) and The Challenge (MTV). I love the rolls at Texas Roadhouse and could eat them till I'm sick. I prefer plain butter though. I have not seen any of those shows, but they might be added to my list. I started watching married at first sight last week and LOVED it. Same here I have to admit, mind you I am all for finding new shows to enjoy! Cinnamon butter sounds really good right now. I didn't watch the Golden Globes either, I avoid most awards shows like that. The cinnamon butter looks absolutely delicious. I've never even thought about making cinnamon better and I don't know why because I enjoy it a lot. 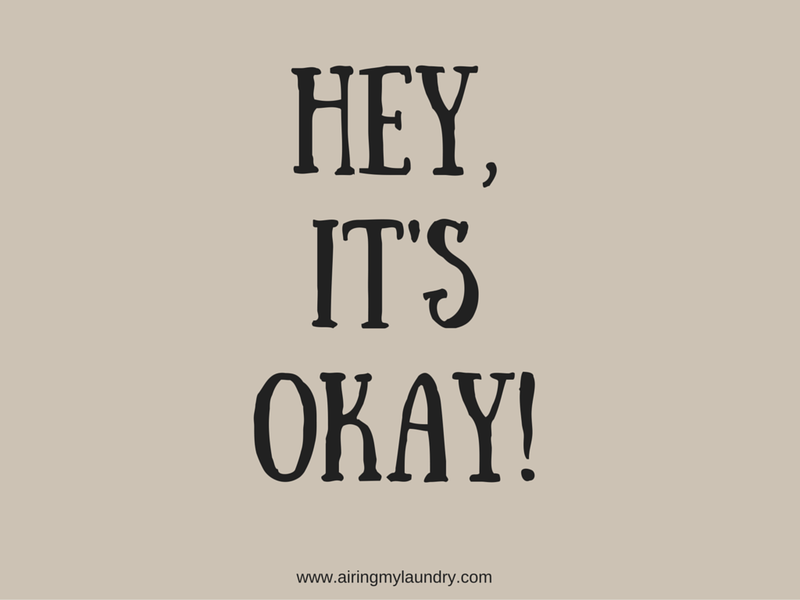 My kiddo is getting to the teen stage and so far so good but I know that it could be difficult. Hopefully you're able to avoid some land lines with your tween. OMG the Roadhouse Cinnamon Butter is the best. I'm also so excited for the new Roseanne Series to come back. I so curious on how it is going to be. I have a tween and a real life teen. My head is constantly hurting! lol We never know what they want, do we? I didn't watch the Golden Globes either. I always fall asleep and never know what they are talking about lol. ha i did end up watching GG awards but was sooo tired ha. It's so funny how your daughter has shifted preferences when it comes to outfits. I guess it's a sign that they are growing up and developing their own taste. I love reality tv shows. And I'm not ashamed lol. They are my favorite brain dumps! Tweens are so tough to understand. The other day we were about to leave for a swim meet and my daughter was in tears because her suit didn't fit any more, even though she had worn it the previous week. It is very frustrating! I also didn't watch the Golden Globes...just wasn't interested. I forgot about the Roseanne reboot!!! Hands up I am with you on the Roseanne reboot how exciting is it they are doing one! We love the rolls and I could eat the whole basket myself. Didn't watch the golden globes. Over award shows like this done , finished. Ha ha, I have friends who are into Vanderpump rules, I personally know nothing about it, but I like hearing them rant. I've seen the Roseanne previews, I think I'll test out an episode or two. 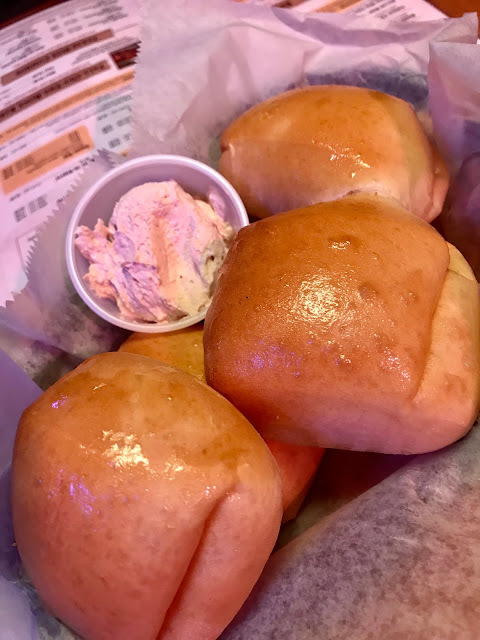 The rolls and cinnamon butter are the best things about Texas Roadhouse. I've eaten there just for the rolls before. I am ridiculously excited about the Roseanne reboot!!! I can't decide whether or not to watch more Sister Wives. I have to think about this one. Those cinnamon rolls from Texas Roadhouse, tho? Those are CRACK. OMG. Now you have me craving Texas Roadhouse rolls!! I need that butter in my life ASAP!!! I love watching reality shows, I once watched like 2 seasons of sister wives, then stopped. Has it gotten better? Your post on 'autism' yesterday was my favourite post that I have read from you so far and I am glad that others appreciated it too. Oh and those cinnamon buns look delicious! Didn't watch Golden Globes too! I'm so happy some of my fave tv shows are going to restart after Christimas time next week, can't wait! I loved watching Golden Globes and I'm so happy about most of the celebs wearing black to stand up for a good cause! I think I told you we had a Texas Roadhouse open up here not too long ago. I haven't gone yet but I'd go just for the rolls!! Rolls and me are dangerous. And Cinnamon butter sounds even more dangerous. Although the ones I love the most are the cheesy rolls. I could eat those all day. I am sure someone would have to roll me out the door afterward. I am so excited for the Roseanne reboot, that was my jam growing up! The cinnamon butter at Texas Roadhouse is to die for, just so delicious! those sweet rolls are the bomb! OMG, I have the same issue with my tweens with it comes to picking out her outfit...lol! I am not looking forward to the tween years. May God bless their hearts. Those rolls and the cinnamon butter do look delicious! I think I'm gonna eat a lot of those too if those were served to me. I did see the golden globes this year which was a rarity for me but was proud of the collective support. Omg cinnamon sugar butter and fresh rolls... sound great right about now. I purposely didnt watch the Golden Globes either. I cant wait for the Roseanne reboot grew up on her! All of the movies can be watch movies online HD quality. They can also be searched by their own rating so you can be family friendly with your choice or you'll be able to pick one strictly for adults when the time is proper. I'm pretty sure I like this topic a lot. I especially liked your last one about Texas Roadhouse. I didn't watch the Golden Globes either. Glad they do replays. - Although I still haven't watched them yet. Haha! 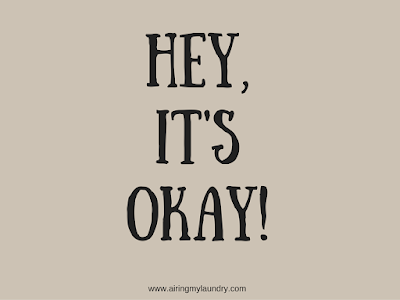 Another "Hey, it's okay!" time! And as always, this is so damn cool! David and I got to watch the Golden Globes and it was a great night to highlight the power of women coz hell to the yeah, time is up!